Michigan's political establishment is pulling out the stops in its bid to block a marijuana legalization initiative, but the fat lady hasn't sung just yet. Predatory policing in Tulsa results in one man's demise -- and raises questions about how, and for whom, the criminal justice system works. 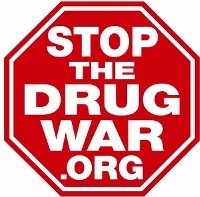 Fully one-third of the people killed in the war on drugs so far this year died in the month of May. Is a long, hot summer ahead? The California legislature gets down to business, medical marijuana expansion bills become law in Colorado and Vermont, a "poison pill" California initiative fails to make the ballot, and more. A trio of sticky-fingered cops get in trouble this week, two of them with drug habits. Michigan legalizers suffered a double blow today but vow to fight on, a California medical marijuana initiative from anti-marijuana activists dies on the vine, a new report says the states need to step up on addiction treatment coverage under the Affordable Care Act, and more.